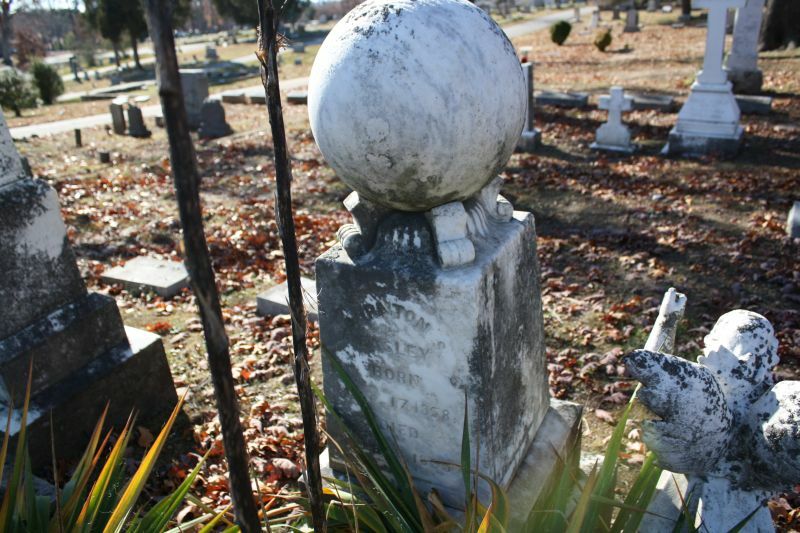 Elizabeth “Bettie” Thornton Easley’s grave marker sits in the Easley family burial plot in South Boston, Virginia’s Oak Ridge Cemetery. The child-like angel has one hand “reaching to Heaven” and with the other she is dropping flower petals. 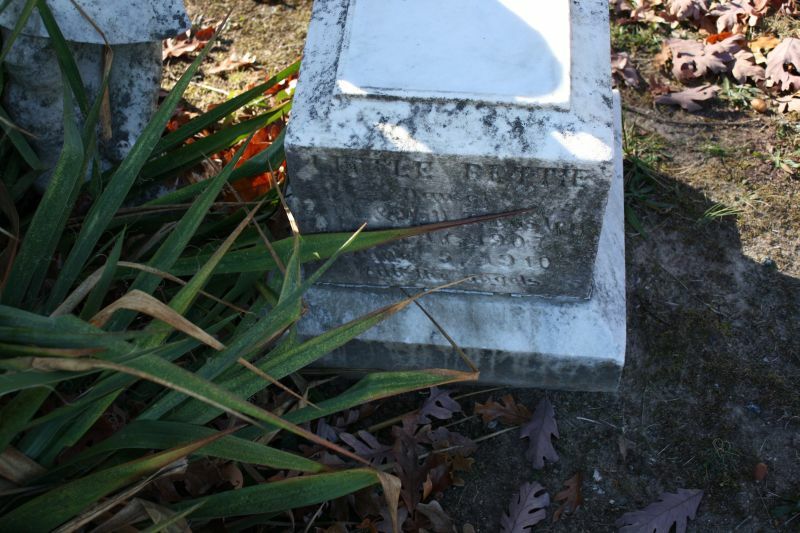 I’m not 100% sure, but it seems like at one time the angel statue might have sat on top of the base that bears her inscription because the angel is facing opposite to that and the marker next to hers. Bettie was the daughter of John Watkins Easley Jr. and Will Jordan Easley. She only lived from Aug. 17, 1907 to Jun. 5, 1910, making her just under 3 years old at the time of her death. Infant and childhood deaths were much more common than they are today, so she could have lost her life to any number of things including disease or accident. 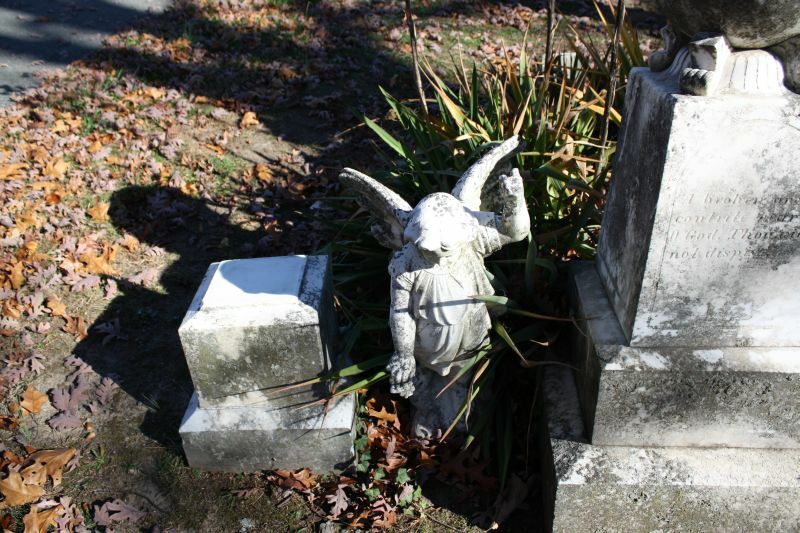 For more grave marker angels, click here.